Cheap Weekend Fun in Boston for September 17-18, 2016! There’s so many fun and cheap things to do this weekend in Boston. As always, please let me know in the comments below if I missed your favorite free event. MixFest 2016: Saturday, September 17, 2016 at the DCR Hatch Shell. Enjoy a FREE concert with OneRepublic, Ingrid Michaelson, Shaggy, and more. Gates open at 11am. South Boston Street Festival: Saturday, September 17, 2016 from 11-4pm. Enjoy live entertainment, local merchants, children activities and much more! Free. 2016 Boston Social Fitness Festival: Saturday, September 17, 2016 at City Hall Plaza. Get moving with a free day of fitness activities and fun! Curious George’s 75th Birthday Celebration: Saturday, September 17, 2016 in Cambridge. Celebrate Curious George’s birthday with cake, activities and more. Free, but a birthday gift is recommended. Roslindale Porch Fest: Saturday, September 17, 2016 in Roslindale. Enjoy some free music from the porches of local musicians from Roslindale. Boston Local Food Festival: Sunday, September 18, 2016 on the Greenway. Enjoy a free festival that focuses on healthy food from New England. Hub on Wheels: Sunday, September 18, 2016. Ride along a car-free Storrow Drive on Sunday for the 12th Annual TD Hub on Wheels Citywide Bike Ride. The Taste of WGBH Food & Wine Festival: Sunday, September 18, 2016 at WGBH studios in Brighton. Ten Top Chefs are going at it at a Food Fight with only one winner as well as chef demos, pop-up treats, music, and more. Discount tickets can be found for $20-30 via Goldstar Boston (affiliate link). 13th Annual Revels RiverSing: Sunday, September 18, 2016 in Harvard Square. Join thousands of people in song as we wave goodbye to summer. Shellfish Shindig: Sunday, September 18, 2016 from 2-4pm at Legal Seafoods in Harvard Square. Head to the Charles Square Legal Seafood’s location for $1 oysters! South Street Diner Customer Appreciation Day: Sunday, September 18, 2016 from 2-6pm at the South Street Diner. Get appreciated on Sunday with free family fun and free food. Quincy ArtsFest: September 17-18, 2016 in Quincy, MA. Enjoy live entertainment, artwork, and children activities for this fun event. 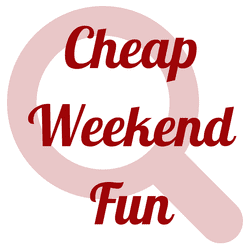 You can also find discounts for The Big E and King Richard’s Faire if you are getting away from the city this weekend. Also, keep an eye out at your favorite Boloco as they are currently giving away free burritos at different locations for seven days!